If you are using worsted weight yarn, you will be double stranding the yarn throughout the pattern. 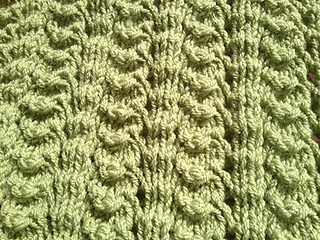 If using chunky yarn, you will be using it single stranded throughout the pattern. Alice’s Embrace is devoted to providing hand-knit and hand-crocheted prayer shawls and lap blankets to those suffering from Alzheimer’s disease. We seek volunteers to knit and crochet the patterns that we have created. Our patterns are designed for Alice’s Embrace recipients. However, if you intend to use them for personal use or another organization, please consider making a donation here to help offset our day-to-day expenses. Through the loving hands of many generous and talented people, this endeavor will help comfort and ease the anxiety that is often present in those suffering from the disease.